A new version of Google+ is rolling out to users starting today, and just like every version before it, you probably won’t use it. Google project manager Danielle Buckley announced the news on her Google+ page today. In the post, she said the redesigned G+ includes three major updates, most of which make it easier to moderate and participate in discussions on the social network. The new G+ now allows users to add photos and animated gifs in comments—something most other social media platforms have offered for years. The update will also give moderators more control over who can post to communities and will give all users new notifications tools. In perhaps its biggest update, the service will begin to offer Collections (a way to group posts by topic) and Communities (which lets people chat in groups) to more businesses. This indicates that the service could potentially be slowly be integrated into Google for Work services. How Google+ is still alive is almost beyond comprehension. 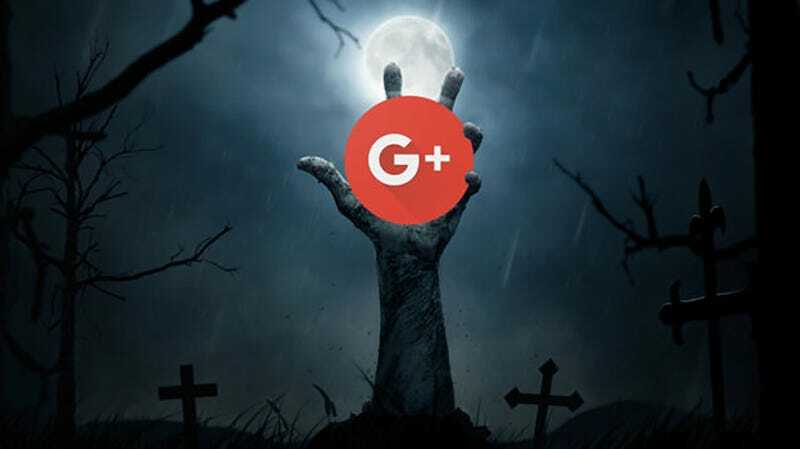 An Adweek report from last year suggested that there are only about 212 million active users on Google+ (of the 2.2 billion Google accounts in existence). In a Forbes report earlier last year, Google CEO Sundar Pichai suggested Google+ may be broken into smaller components over time. The process appeared to begin when Google Photos broke free of Google+ about one month after Pichai’s comments. Despite the fact that Google Photos, perhaps its most useful product, is no longer part of the program, Google+ is carrying on—at least for now.